Jim and Susan Hill purchased a bay New York-bred filly from the first crop of Tonalist for $150,000 at the Keeneland April 2-year-old sale Tuesday. The single session auction was preceded by an under-tack preview that took place on Monday at Keeneland where the youngster, catalogued as Hip 156, breezed an eighth in :10 2/5. 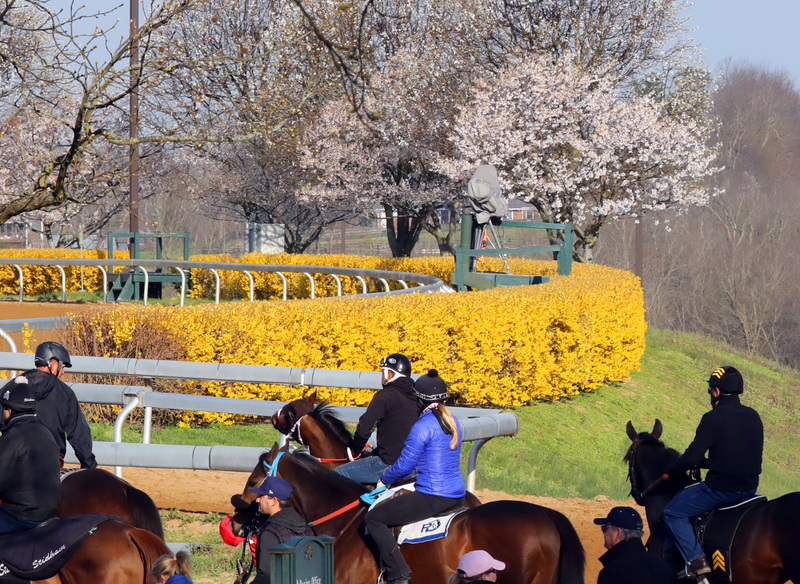 Keeneland’s April sale returned this year following a four-year hiatus. The filly was bred by the New Hill Farm LLC and consigned by White Pine Thoroughbreds, Agent. She doubled her value after being purchased for $75,000 by Justin Wojcynski at the Fasig-Tipton New York-bred preferred yearling sale last summer. Not only a member of Tonalist’s first crop, whose juveniles have averaged $158,533 to date, the sale filly is also the first foal from her dam, Theyplayingoursong. A stakes-placed Louisiana-bred daughter of Songandaprayer, Theyplayingoursong brought $27,000 at the BSC Louisiana September yearling sale in 2014 before being purchased at two by Bradley H. Raney for $35,000. Out of stakes-placed Dana’s Lucky Lady, Theyplayingoursong is a half-sister to a trio of stakes winners: La Glamorosa, champion imported 2-year-old filly in Puerto Rico, Paddy O’Lionel and Dame Plata. House Mouse, a juvenile stakes winner in Canada appears under the third dam. Jim and Susan Hill own Margaux Farm near Midway Kentucky, which houses a training center and rehabilitation facility. The couple made a pair of high-profile purchases of New York-breds at the Keeneland September yearling sale where they spent $360,000 on a chestnut filly by Candy Ride (ARG) bred by Pine Ridge Stables Ltd and $255,000 to acquire a Lea colt bred by SF Bloodstock. The other New York-bred juvenile to go through the sale, a filly by Malibu Moon out of Samsational bred by Newtown Anner Stud, did not attain her reserve after drawing a bid of $210,000. For the sale, 67 head were sold and the average and median came in at $90,799 and $40,000, respectively. 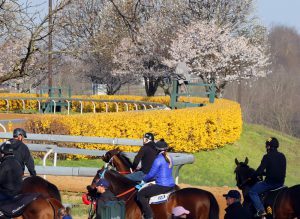 The next stop on the juvenile sales circuit is OBS April to be held April 23-26. The under tack show will take place April 15-20.